Tesla is sending waves of excitement again with its latest invention to be unveiled later this month. The Class 8 heavy-duty semi-truck will run on 100% electricity, which Elon Musk has promised to be more powerful than any diesel semi-truck and predicted by Morgan Stanley analysts to cut operation costs by 70 per cent. Soon, the world will get to see Tesla’s (NASDAQ:TSLA) first electric semi-truck that’s predicted to seriously impact the notoriously conservative trucking industry. It’ll be interesting to finally see the performance of one of Tesla’s newest invention which Elon Musk introduced during a TED discussion last April. Moreover, when Anderson asked if it was the kind of thing that truck drivers would like to drive, Musk said that he had driven the prototype himself and the experience was amazing. It was so nimble even though it’s a giant truck. “You can drive it around like a sports car,” Musk said. These kind of statements have obviously kept everyone in anticipation of the new heavy-duty semi-truck from Tesla, which by the way is getting unveiled sooner than most industry analysts anticipated. Not only will the new rig be environment-friendly, people expect it to also have several autonomous/autopilot capabilities for which Tesla EV’s are known for. How will a revolutionary commercial transport like this affect the trucking industry? The electric semi could be coming to market in 2019 – 2020. The truck would probably cost $100,000 which excludes battery leasing. It would have a regional range of 200 – 300 miles before needing a battery swap. In terms of operation cost, it would be up to 70% cheaper compared to a regular truck based on Morgan’s model that’s designed on a battery leasing program with a cost of $0.25/mile and a sale price of ~$100,000 for the truck. Moreover, and again this is based on Morgan’s projections, the battery leasing program alone could bring Tesla annually more than $7 billion in revenue. What’s more, Morgan’s analysts think that Tesla would not need a very large investment to bring its electric semi-truck to market. Autonomous driving and battery technologies are already under development for the company’s EV’s and it’s already within Tesla’s capacity to deal with a low production run rate of only 25,000 units per year at 10% share. But beyond numbers and bottom lines, it’s about time that this kind of revolutionary change for the trucking industry as a whole takes place, and sooner rather than later. It goes without saying that the need to cut down on carbon emissions is an urgent issue that must be addressed. It is also the only way to protect our planet’s existence and consequently our own. Trucks need more range. 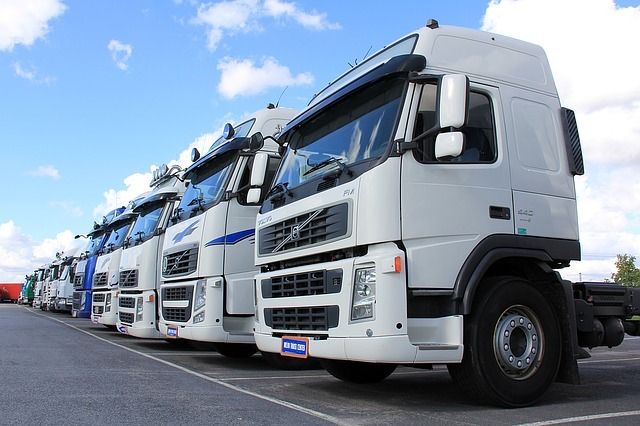 Average truck travels 500-600 miles a day and the drivers are under strict regulations of how many hours they can be on duty. If they have to stop while under a deadline in rural Montana at 3am for an hour or more to swap a battery, that will cause some serious concerns. I think the truck is great and I would buy one only if you have the range extended to at least 600 miles and have a tremendous amount of places I could get a battery swap. You would literally need a location in every truckstop, big city, small town and everywhere in between. Truckers go everywhere, all the time, 365 days a year. They don’t have time to stop and swap. The battery lease in combination with a charging option and a large infrastructure of charging locations and maybe you have something practical. No flat nose either. My two cents.